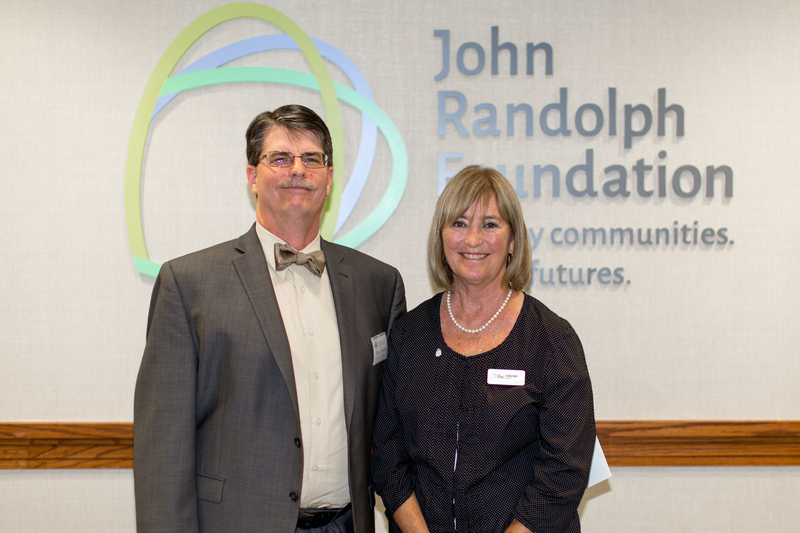 John Randolph Foundation awarded its latest grants on Thursday, July 20th in front of a crowd of 125 partners, donors, and grant recipients. Responsive grants from the Foundation’s Mission Fund were awarded to 17 nonprofits totaling $403,369. The Foundation also awarded grants from endowment funds to eight organizations totaling $123,090, and finally two local educator awards totaling $4,000. Congratulations to all of our recipients who create healthy communities and bright futures in the Tri-Cities area! 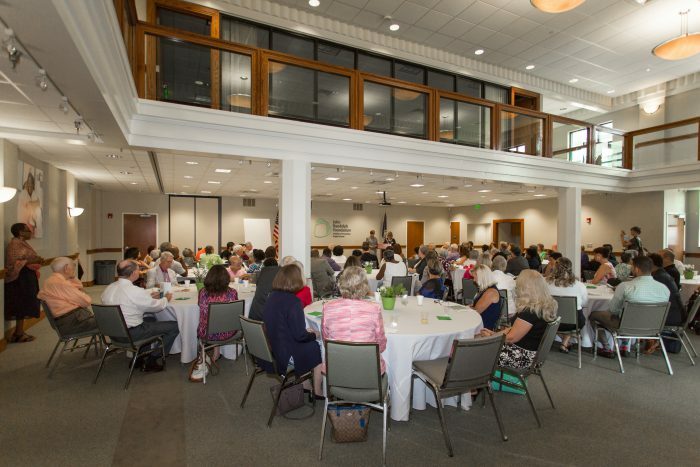 Over 125 community partners, donors, and grant recipients attended the ceremony on July 20. Alamo Recovery Center – $11,625 to support expansion of clinical case management and provide additional human capital for in-resident and community based substance abuse counseling for the Tri-Cities area. *Bensley-Bermuda Volunteer Rescue Squad – $4,070 to purchase five ambulance child restraints that will provide complete access from the airway to the waist to effectively perform procedures while the child remains restrained. This grant is made possible through the Frederick T. Gray and Evelyn J. Gray Memorial Endowment. Central Virginia Health Services – $100,000 to support primary health care services at the Hopewell-Prince George Community Health Center, including medical, dental and behavioral health services. City of Hopewell Fire & Rescue – $22,500 to purchase two Lucas chest compression devices to improve outcomes of sudden cardiac arrest victims and improve operations for medical responders by delivering high-quality, consistent chest compressions in the field, on the move and even into the hospital. Conexus – $13,424 to support improved educational outcomes for students with undetected and uncorrected vision problems. The target population for this project is 7,903 students attending 35 public schools (including Head Start programs) in the following school Divisions: Colonial Heights, Dinwiddie, Hopewell, Petersburg, Prince George, and Sussex. *Crater Community Hospice – $6,625 to provide quality hospice care to people in the Tri-Cities area and to support the Hospice Medications program. This grant is made possible through the Mission Fund and the Frederick T. Gray and Evelyn J. Gray Memorial Endowment. *CrossOver Healthcare Ministry – $14,875 to support the Access to Care Program for Residents of Southern Central Virginia by providing access to primary medical care and to assist persons in need of financial help in health-related matters. This grant is made possible through the Frederick T. Gray and Evelyn J. Gray Memorial Endowment and the Ursula M. Gibbs Medication Endowment. FeedMore – $20,000 to support delivery of a Comprehensive Children’s Nutrition Program in the City of Hopewell which includes a weekend Back Pack program for students, an after-school Kid’s Café program, a Summer Food Program for kids involved in youth development programs, and the Meals on Wheels and Mobile Food Pantry programs. Hopewell Food Pantry – $40,000 to support access to healthy food for people in need in the City of Hopewell. As a result of their new location which provides additional storage, more cold storage and equipment, the Pantry can provide even more fresh fruits and vegetables to those in need than ever before. Metropolitan Richmond Sports Backers – $17,500 to support current Kids Run RVA programming and to expand the Fitness Warrior offerings in the Tri-Cities area. The Foundation has asked Sports Backers to work with other localities in the area to provide adult fitness offerings, and they have met the challenge. Prince George Emergency Crew – $35,000 to purchase a Zoll Cardiac Monitor and AutoPulse chest compression device to equip a first responder vehicle to quickly respond to a patient’s need when an ambulance may not be close or may not be available at all. Reach Out for Life – $20,000 to support the Free Mammography Outreach Program in Hopewell, Prince George and the Tri-Cities area. At the cost of $150 each, over 130 mammograms will be provided to women who otherwise could not afford this invaluable diagnostic and early detection procedure. SwimRVA – $20,000 to support the Learn to Swim program. This program partners with the Hopewell Recreation Center and Hopewell Public Schools to allow each 2nd grader the opportunity to learn to swim, be educated about water safety and engage parents/guardians in water safety related educational programs. 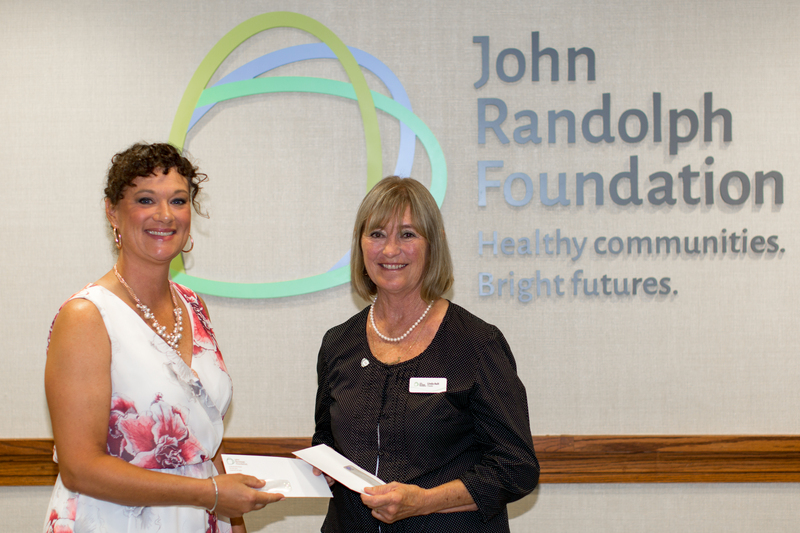 Virginia Dental Association Foundation – $12,500 to support Donated Dental Services in the Tri-Cities area. This program restores good oral health in older adults who are low-income and adults with disabilities by matching them with volunteer dentists, specialists and dental laboratories that provide free, comprehensive treatment. YMCA of Greater Richmond – $30,000 to support Teen programs at the Petersburg and Chester YMCA centers. These programs have provided leadership and work force development skills as well as recreational outlets for keeping youth physically active. Alzheimer’s Association – Greater Richmond Chapter – $5,000 to improve the quality of life of people with dementia, to provide education for caregivers, families, and professionals in the Tri-Cities area, and to help families develop a Plan of Care for family members having a diagnosis of Alzheimer’s disease or dementia. *Appomattox Regional Library System – $22,659 to support general operating expenses of the entire library system. The library system maintains eight branches in the City of Hopewell and the Counties of Dinwiddie and Prince George. This grant is made possible by the Appomattox Regional Library System Endowed Fund. *Beacon Theatre 2012, LLC – $42,804 to support the purchase of sound equipment and lighting upgrades that will lower the operating costs of the theater while providing additional value in attracting musical performances to the theater. This grant is made possible by the Ursula M. Gibbs Endowment for the benefit of the Beacon Theater. *City of Hopewell Parks and Recreation – $1,329 to support the Kid’s Fun Run and Fit for Life challenge held each year in conjunction with the City Point 5K. This grant is made possible by the D. Paul Karnes Endowment for Wellness. *Historic Hopewell Foundation – $41,549 to support maintenance and renovations at Weston Manor in Hopewell. This grant is made possible by the Ursula M. Gibbs Endowment for the benefit of Weston Manor. 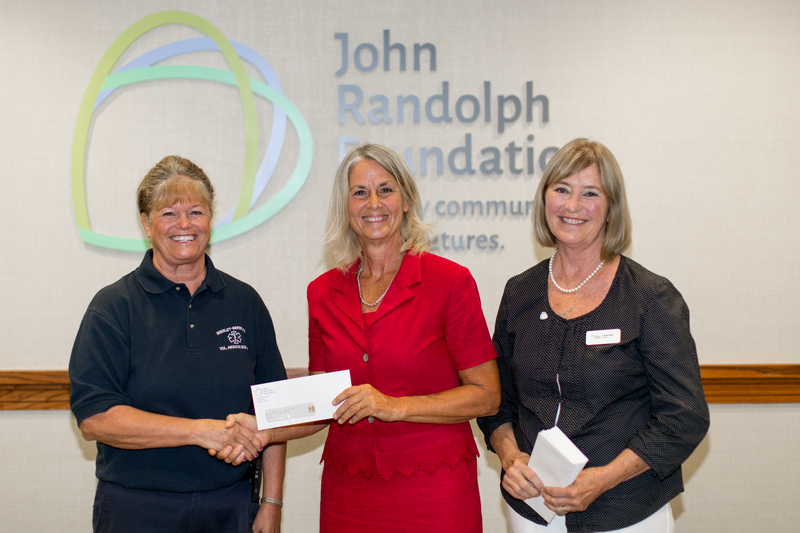 St. Joseph’s Villa – $15,000 to support the Flagler Housing Resource Center and continue services within the Crater Area Coalition on Homelessness, including providing rapid rehousing and prevention services. The James House – $22,500 to support services for children and teens impacted by domestic violence and stalking, and to support prevention education in the schools and in the community. will use her award to bring traditional Native American pottery techniques into the classroom. GReat Aspirations Scholarship Program (GRASP) – $7,500 to support In-School Financial Aid Advising at Hopewell High School for the 2017-2018 School Year. *Drs. Singh and Bhuller Tri-Cities Outstanding Educator of the Year Award – $3,000 to Ms. Rebecca Stroop, an art educator from JEJ Moore Middle School in Prince George County. *Preston and Anne Leake Teacher Recognition Award – $1,000 to Ms. Antonia Thompson, a special education teacher from Carter G. Woodson Middle School in the City of Hopewell. Note: In 2017, John Randolph Foundation began announcing endowment grants with responsive grants, which come from the Mission Fund. For a history of endowment grants or more information on endowments managed by the Foundation, contact Kiffy Werkheiser, Development Program Officer, at [email protected].